More from Keith's amazing collection. Click on the individual items to enlarge them. 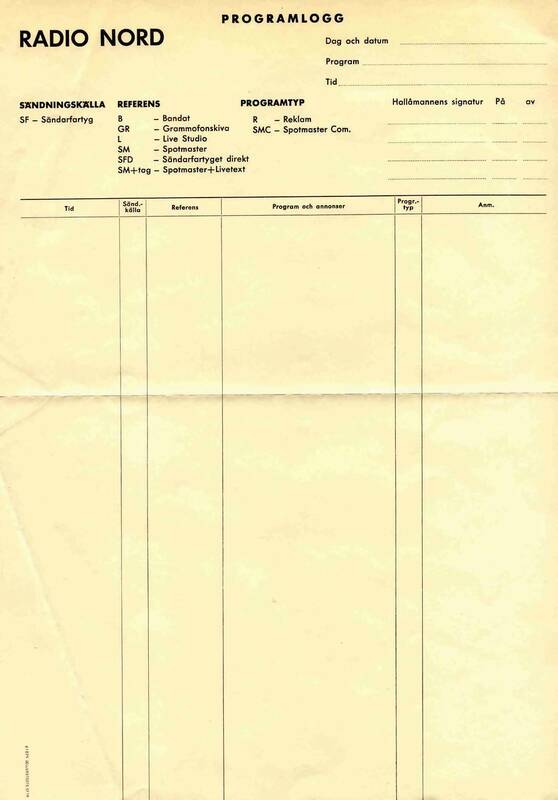 A blank page from the Swedish Radio Nord's programme log, found on board the mv Mi Amigo. Before being used by Radios Atlanta and Caroline, the ship had been the home of Radio Nord. 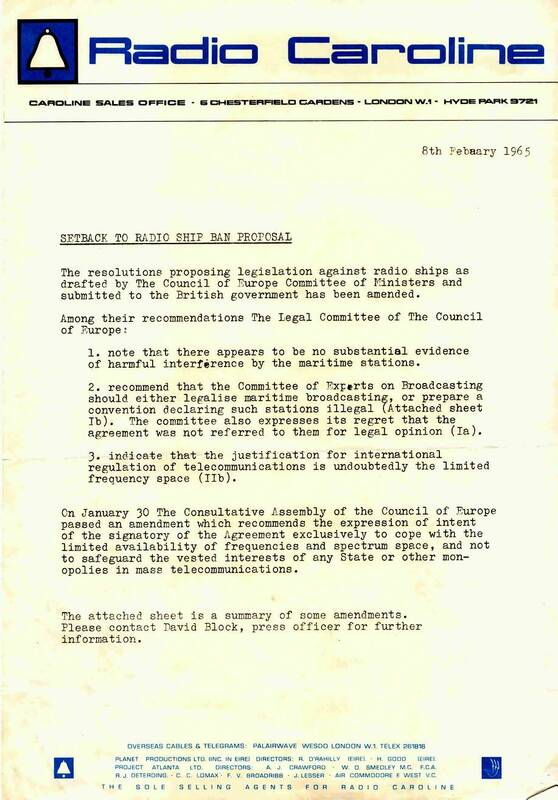 A statement issued by Radio Caroline about the Council of Europe proposals to outlaw the radio ships, February 1965. A 1963 press cutting reveals plans for Radio Atlanta. Click on the headline to see the whole article. It was this article that alerted Keith Martin to the new station and caused him to seek out station boss Allan Crawford to offer his services. August 1966 article from Disc & Music Echo. Click on the headline to see the entire article. 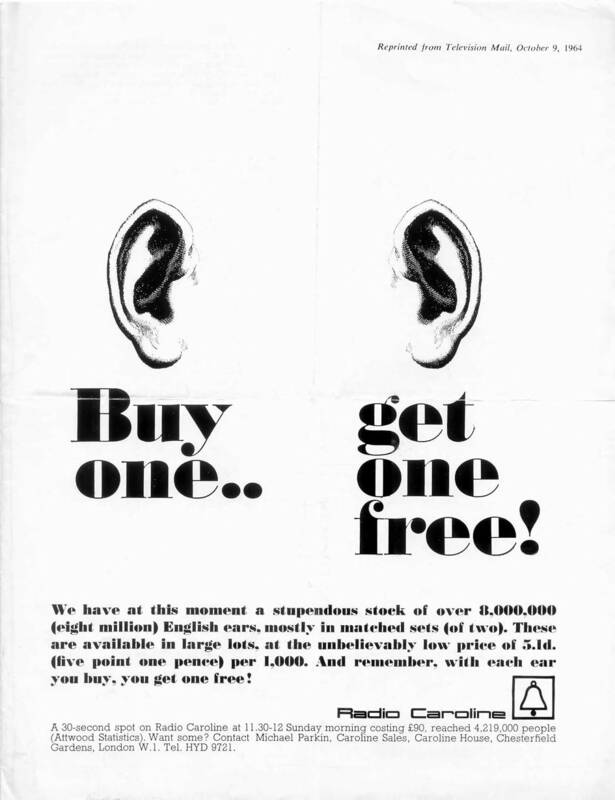 A 1964 Radio Caroline trade press advert from Television Mail, reprinted in a station publicity leaflet. 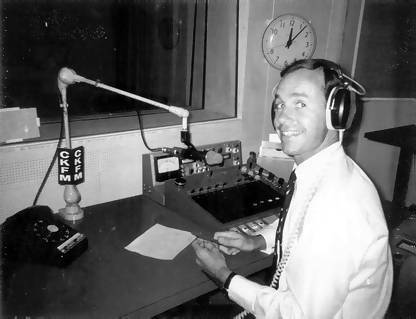 In 1962 a station called Radio Antwerpen broadcast briefly from off the Belgian coast. The government introduced legislation to outlaw it but, just as the law was passed in December 1962, nature intervened. 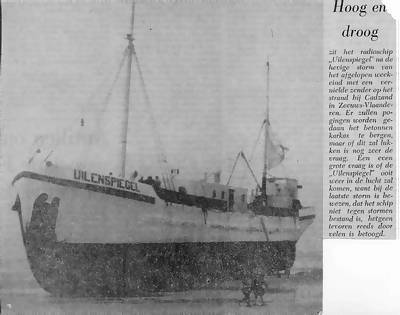 Their ship, the Uilenspiegel, was washed up on the beach at Cadzand in Holland during a storm. 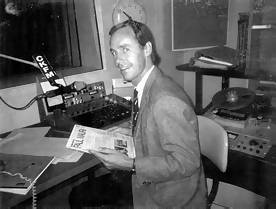 Radio Antwerpen had been on the air for just 65 days. It never returned. 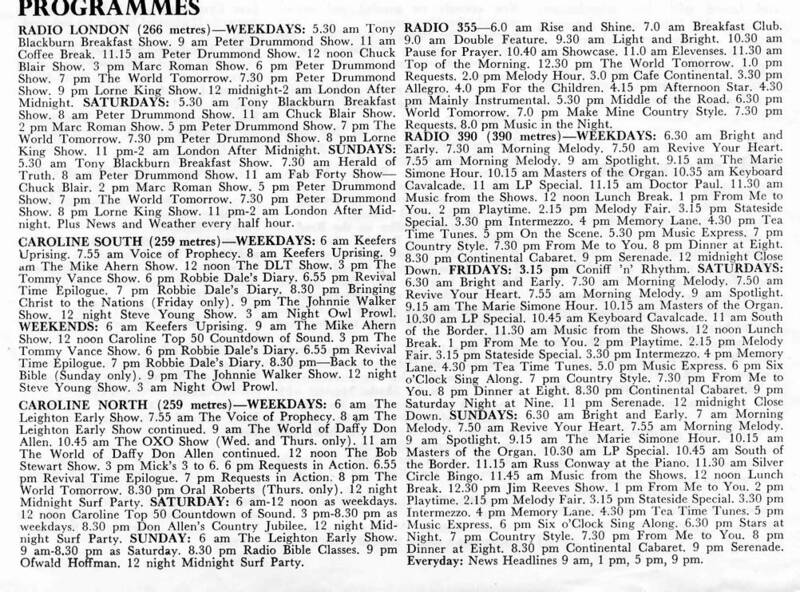 Some 1967 offshore radio programme schedules from Time & Tide magazine.